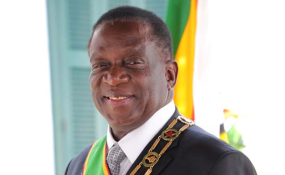 The 2 cents intermediary money transfer tax introduced by Government recently is helping Government to narrow its budget deficit significantly, President Mnangagwa has said. Delegates had argued that the tax was a stumbling block to the ease of doing business. President Mnangagwa responded: "I don't think it's a hindrance. It has helped us a lot now to narrow the deficit gap in our economy."